Pretty cool. 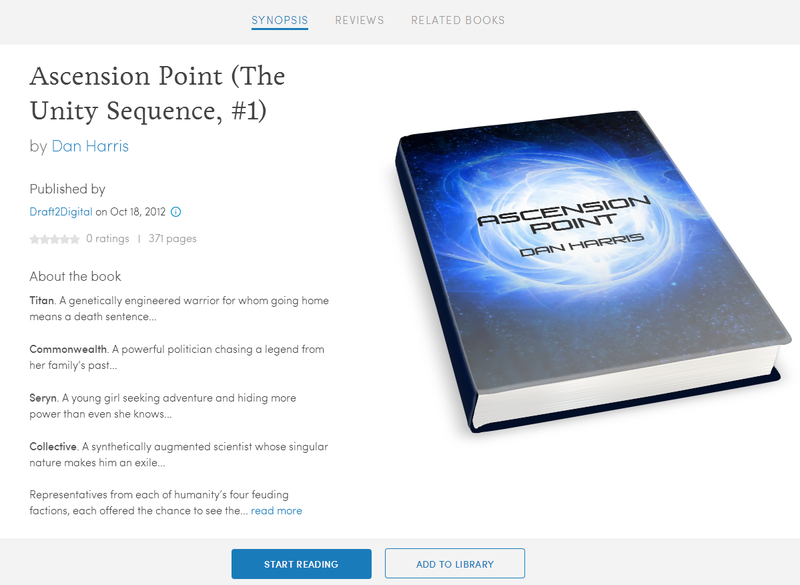 I was in Scribd direct at first (*crickets*) and hopped aboard when Smashwords started distributing. At least in my case, it’s been worth it for my dark fantasy fairy tale slaughterings. HOWEVER, something you might want to keep an eye on (and I’m still trying to track down the cause of): I’ve found some missing lines in at least one Scribd title. I’ve double-checked, and the lines are in the Smashwords version. They’re just not showing on the Scribd reader. They actually change a slightly-creepy-but-bittersweet scene into an entirely creepy one. Hmmm! I’ll have to check that, thanks for the heads up. D2D are normally pretty badass at getting their distribution right in ways SW doesn’t (not mangling the formatting of a book’s synopsis, for example, when publishing to iTunes) so I’m hopeful. But I will take a spin through, for sure!